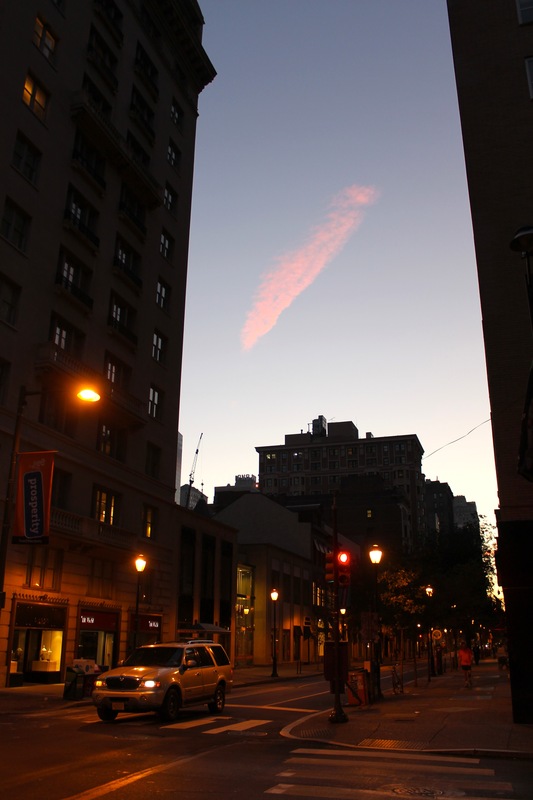 Ever see that flick, Wicker Park? The one where some girl dates Josh Hartnett, then she leaves him, and then some other crazy girl is obsessed with him or something. I clearly was only watching to ogle Mr. Hartnett, but I do remember the one quote from the end of the trailer. Love makes you do crazy things, insane things… can’t help it. Point in case? This morning, I woke up before the sun because I’m in love. In love with donuts. 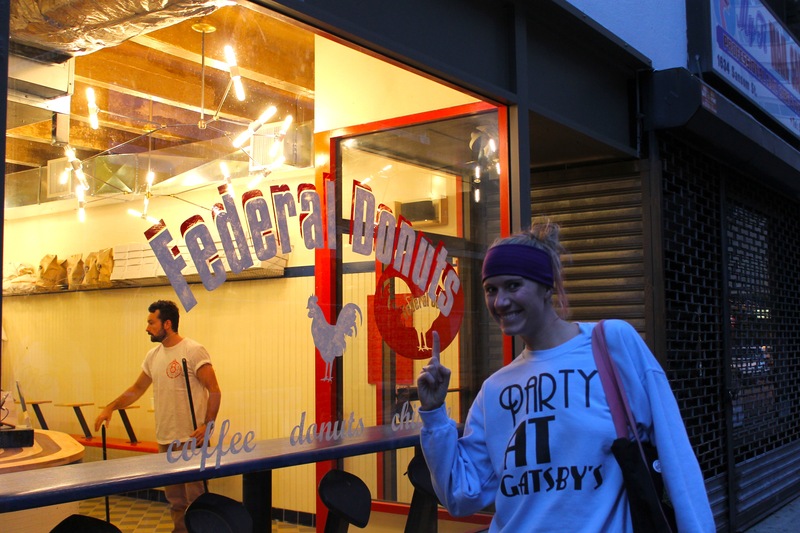 My crack-of-dawn-wake-up-call was all to be one of the first to taste the heavenly decadence of Federal Donuts‘ newest location in Center City. Clearly, I was pretty amped. 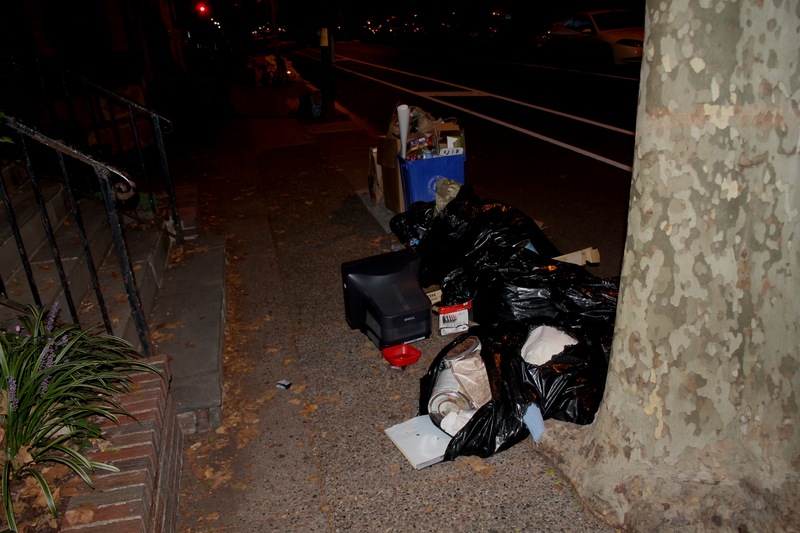 I got to soak up some of the Monday morning sights of Philadelphia… Namely, the piles of trash on the street, as it’s trash-pickup-day. Smell that sweet, morning air. Good morning, world. Did you wanna share my donuts? When I rolled up to their new location (1632 Sansom Street, if you’re wondering), the inside was bustling with activity. Before we knew it, the 14 minute wait was over, and it was time to get at the good stuff. 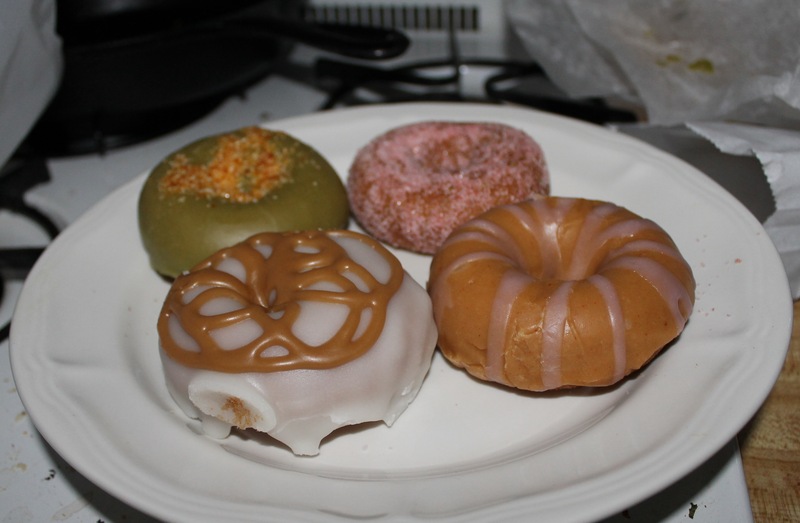 We were offered our choice of four of their donuts. This was absolutely not an easy choice for me, considering they had 6 fancies (flavors listed under the pictures) and 3 “hots” that were made fresh (flavors of hots included strawberry fennel, vanilla spice, and Turkish mocha). I carefully observed and plotted and licked my lips. And then, I decided on my four and excitedly walked out with a bag of goodies. 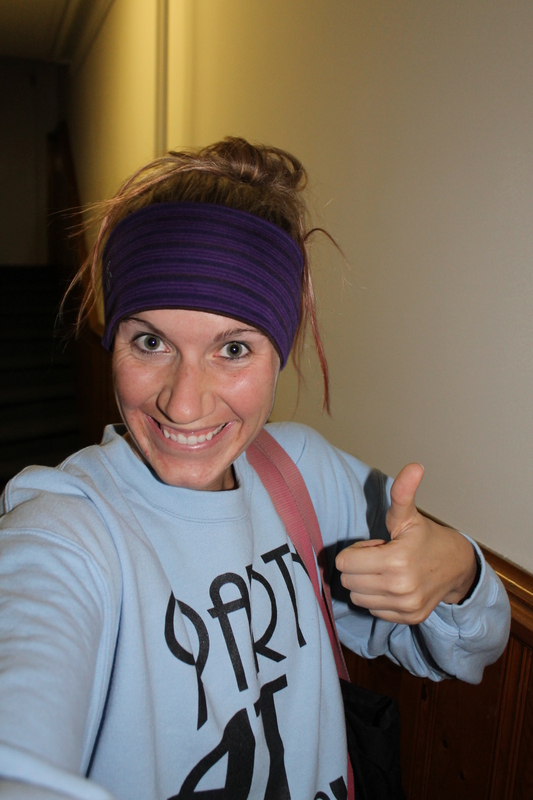 As I walked back into the apartment, donuts in hand, Ryan assumed I was a heavily armed killer. Lucky for him, the only heat I was packing was my single hot donut AND I was ready to share. We split two for breakfast (and are saving the other two for dessert tonight). The Maple Bacon was mind-boggling. I didn’t see any bacon… but I tasted it in the frosting drizzle. 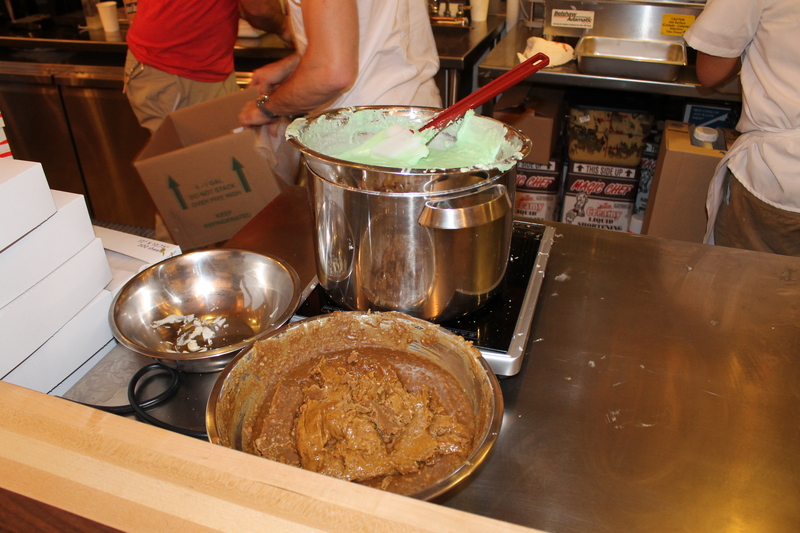 And it tasted like a savory salty creaminess, one which I’ve never experienced before. I didn’t taste as much of the maple, but it was still delicious. The star of our morning, though, was the strawberry fennel. HOW DO THEY MAKE THE PINK STRAWBERRY FENNEL CRYSTALS OF GOODNESS?!?!!? This is a mystery to me, a delicious mystery that is best served warm and split with a loved one while catching up on your favorite cartoons. 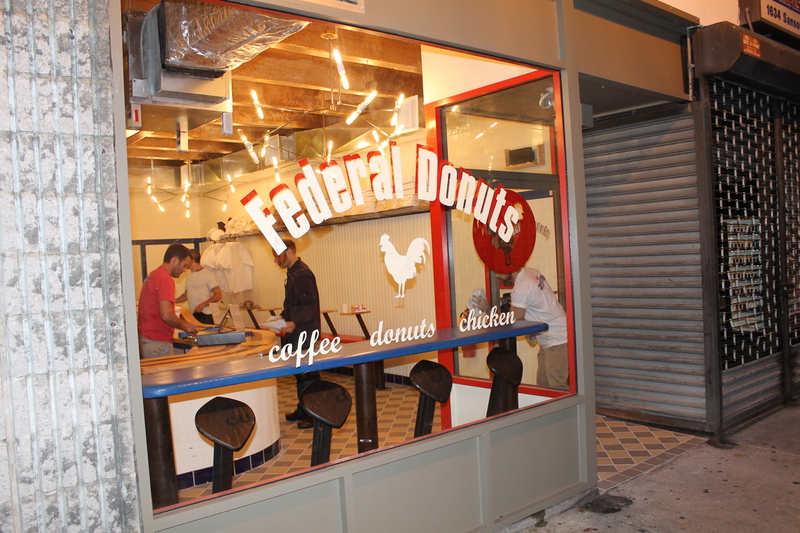 FedNuts opens its Sansom location officially on Wednesday morning, and you better BELIEVE I’ll be back soon. 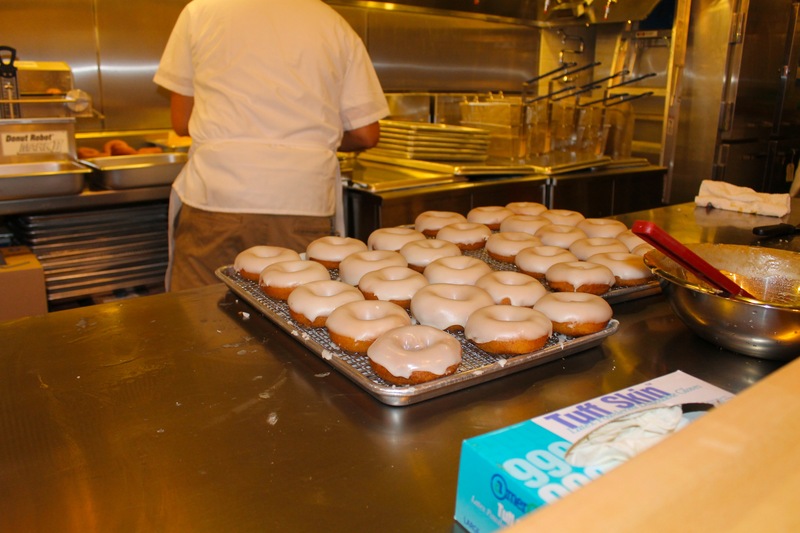 For donuts, yes, and to finally try some of their infamous fried chicken. Yes, donuts and chicken. The healthiest, right? I never said I was a role model. Can’t wait to try round two tonight…. Which flavors would you have chosen? ← Six Pack Sunday: Blessed with BEER!! Ok I’m insanely jealous of you. Did you go to the soft opening? I saw it in Foobooz, considered emailing, but ultimately forgot. 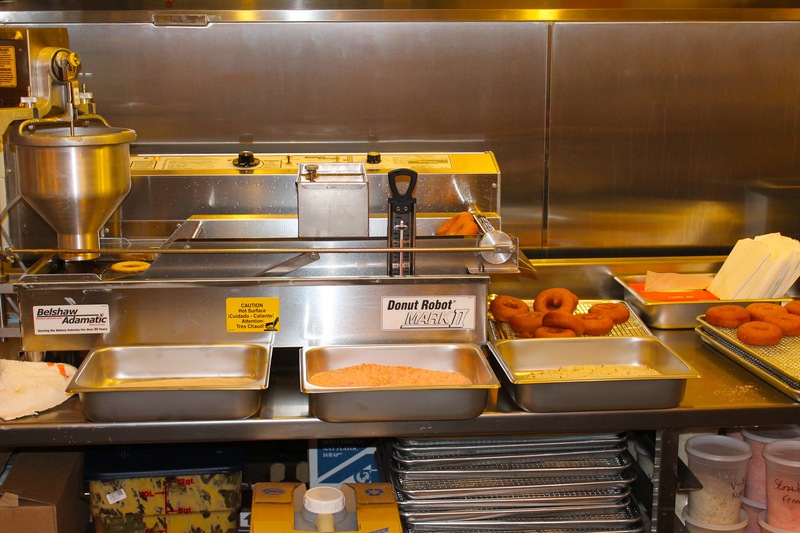 I’m taking off on Wed – want to have a fried chicken and donut date? Fun story, last year for V-day I had to work (busy season, yay! ), so my bf surprised me at work with fried chicken and donuts from Fednuts, because our first attempt ended in sold-out failure. It was very sweet, and quite delicious. I did, and I DO! That is the most romantic date I can think of, as fried chicken and donuts are the ultimate aphrodisiac. I’m pretty sure I read that in COSMO. Spicy PB&J? Heck yes. I would have loved the mint chocolate. MMM! I saved the Spicy PBJ for tonight, mostly because I’m so intrigued. Nothing like hot donuts to start your morning 🙂 The spicy pb&j would definitely be one of my picks. I saw chocolate covered banana on their website, and that sounds divine. 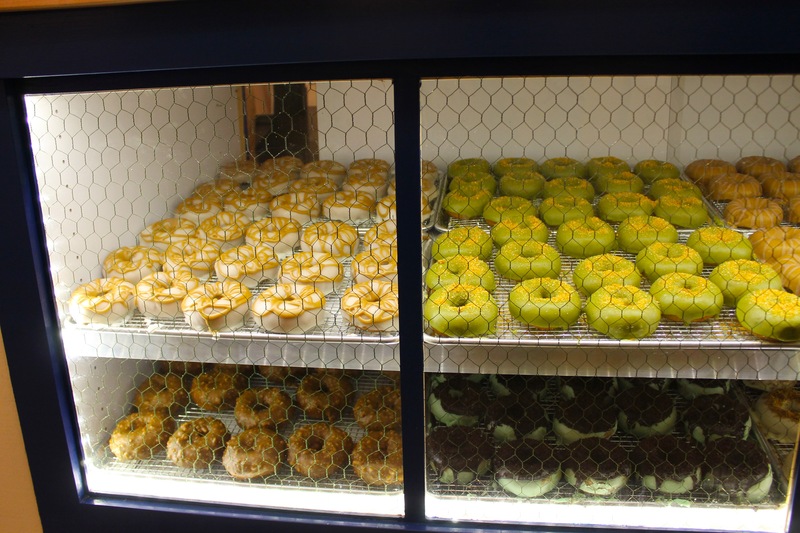 I like their spin on the donut craze – hot and fresh – not covered in crazy candy and cereal treats…. I’m curious about their korean fried chicken! Awesome shirt! Mad props for getting there before open…we got chicken too because my husband wins everything. 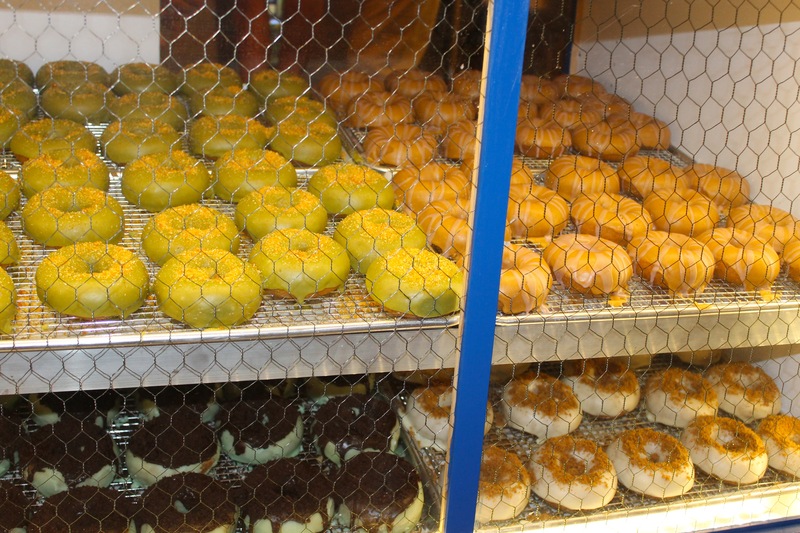 First post AND the second review of FedNuts 2? Good job, Jordan! Thanks very much for coming in and sharing your experience with everyone! I love out-of-the-box donuts! All of these flavors sound verryyyyyy interesting. I think I would like the maple bacon, but minus the bacon? And the spicy pb&j sounds either really good or really weird. (This means that I would have to try it 😉 ) I’m glad Ryan liked the donuts! Sign me up for the Mint Chocolate! And the Maple Bacon. And the Spicy PB&J.